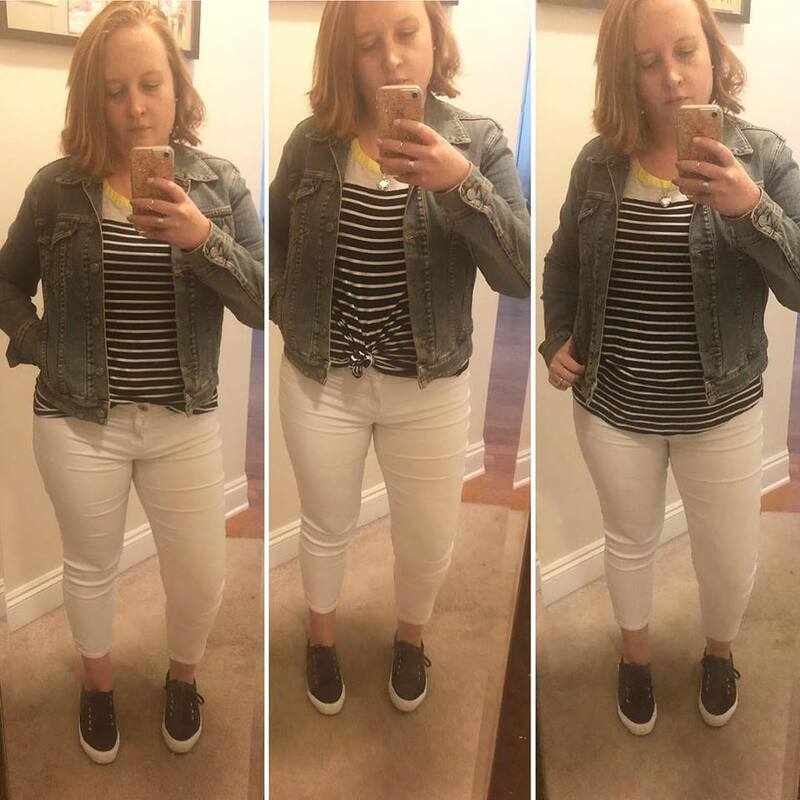 When I first started sharing outfit posts on this blog a few years ago, it was in an effort to boost my self esteem and build body confidence. I'm not what I would consider an influencer by any means, but I feel like I've come a long way since those first posts. Now the goal is to share affordable fashion and help you use the clothes you already have in your closets. I've learned a lot about fashion and trends, specifically what works for me, and I'm finally comfortable in my own skin and clothes. So I wanted to take some time to share some of the things I've learned on this fashion journey. This post contains affiliate links, meaning if you buy something through them I may earn a small commission at no extra cost to you. One simple way I've learned to make outfits more interesting is print mixing, like in the photo above. When it comes to print mixing, I don't go overboard. I try to keep everything in the same color range (both my skirt and top in this picture are in the yellow family) and keep my prints about the same size. I think the most important thing I've learned, or maybe more fully embraced, is that fit is everything. If your clothes don't fit well, you won't look put together and you probably won't feel it either. Fashion is so subjective and trends come and go in the blink of an eye. So if I were to give one piece of advice, it would be wear what makes you feel good about yourself. If you're uncomfortable in your clothing, it shows. Sizing Note: I'm 5'2" with wide shoulders and hips. I wear a size 6/8 or M in most clothes and size 7 in shoes.